Bob, was my friend and I loved him like a brother. He was my confidant and my mentor and is one of my personal heroes. And like you, we will miss him terribly. For all who knew him, know he dedicated his life fighting for Justice. He will be remembered as a warrior on the battlefield. One who fought tirelessly when he encountered injustice. He was a standard bearer for legal rights of the down trodden. He truly was the embodiment of a great man. I believe by divine consciousness he understood the moral universe. During one of the greatest social movements in American History, Dr. King said “the arc of the moral universe is long, but it bends towards justice.” Bob used his life as an intervening force against unjust laws that impinged on the lives of the defenseless. I first met Bob by telephone in April of 1994. Unknown to either of us, Champaign County was under investigation by the State for the unnecessary placement of children in Foster Care. “This practice placed Champaign County in non-compliance with both the Norman and the BH Consent Decrees which requires DCFS to make “reasonable efforts” to prevent unnecessary Foster Care placement unless the children are in imminent danger. Due to the invasive nature of this violation and the severity of the consequences for children, the rights of parents to raise their children apart from government intervention, are closely guarded in our society. The loss of one’s children is a punishment more severe and intrusive than any criminal consequence. I don’t need to tell you that this was a text book scenario right out of the Robert G. Kirchner's play book. This set of catastrophic events became the impetus for the social movement of “Best Interest of Children”. BIOC would be the guiding force to change a system gone wrong. Bob with his unwavering passion for Justice and his extensive knowledge of the law was just the man for the job. At our first gathering in April of 1994, there were people from almost every professional discipline. The room was full to capacity. I still had not met Bob Kirchner. While trying to decide when we should hold our first public meeting, a hand went up in the back of the room and the person said “two weeks”. I asked for his name and he said Bob Kirchner. Now, I was really curious. Two weeks? And two weeks it was. 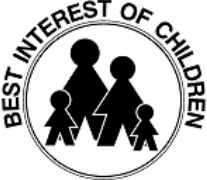 On May 24, 1994, the Best Interest of Children Task force went public. There were well over 100 people in attendance. Over the next 17 years, Bob worked tirelessly with BIOC. I would come to know him as a humble servant true to the call on his life. One night while taking me home, I remembered sitting in my driveway and asking him why he was doing this work. I will never forget his words: "Because it is just the right thing to do and that is what I signed up for." The conviction of his passion spoke volumes as he lived out his dream. We honor and pay tribute to one of the noblest men of our times. A man who had the courage to live a life less ordinary. A man who interpreted the universe by looking at it through his God given moral consciousness. As I read the words of Senator Edward Kennedy as he spoke at John F. Kennedys funeral, I thought of my friend Bob and I quote: “few are willing to brave the disapproval of their fellows, the censure of their colleagues, the wrath of their society. MORAL COURAGE is a RARER commodity than bravery in battle or great intelligence. Yet it is the ONE ESSENTIAL, VITAL quality for those who seek to change a world that yields most painfully to change." While none of us can see with our mere eye or know what is in store for us tomorrow, the arc of the moral universe is a continuous movement forward. With every act of morality the arc extends and bends toward justice. Bob’s act of moral courage literally caused the judge to modify a process in the Juvenile Court Procedures. The arc extended bended toward justice. My prayer is that Bob’s supreme sacrifice and the unselfish work he did on behalf of others, will wake up the moral conscience of ordinary men and women like you and I and evoke a higher response for us to complete his fight for Justice. President until his death April 17, 2011. As a founding member, he is the longest serving Board member in BIOC's history. He will be forever and deeply missed.